In the construction industry, BIM is synonymous with the global trend of digitalization. During this process, all relevant building data is digitally modeled, combined, and recorded. The building is also geometrically visualized as a virtual model. With its transparent cooperative way of working, BIM is now a decisive factor in setting the bar for the cost-effective development, planning, realization, and operation of innovative buildings. 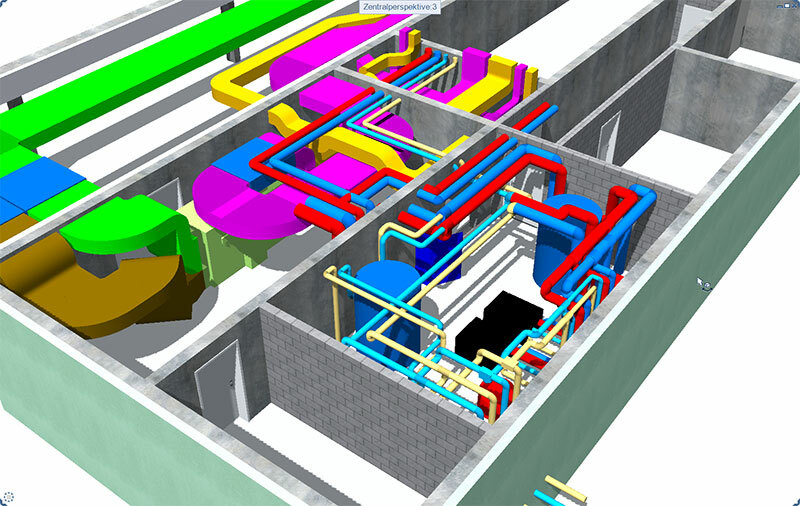 We regard BIM as a continuation of our methodical approach to benefiting the customer. This is because BIM constitutes the point of contact for production and factory planning within Industry 4.0. Early combination of specialized models facilitates digital planning coordination with the specialist engineers and executors involved in the project. Conflicts or technical necessities are recognized and addressed early on. Studies have shown that the optimal coordination of processes and work procedures during the course of planning and construction can unlock an optimization potential of 85 percent. If structured meaningfully and provided with digital support, construction projects can receive a huge boost in relation to time, costs, and quality. BIM offers 3D models for optimal spatial illustration of the buildings and clear orientation for the builders as early as the planning stage. Energy efficiency becomes dynamic with BIM: The BIM process-oriented procedure helps do more than just orient the project on the average energy standards – it also helps to organize it economically, sustainably, and innovatively. Collaboration is the order of the day. 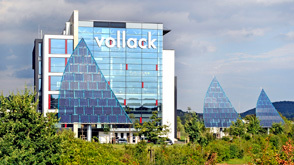 Vollack therefore relies extensively on Open BIM. Data and information is exchanged on an open collaboration platform. Involved planners can upload their specialized model to the coordination model. Forming the foundation for this exchange is a data exchange format that can be used across software and countries, the industry foundation classes (IFC). Where in the past the same building would have been modeled several times, with changes requiring time-consuming updates, BIM makes it possible to digitally evaluate, coordinate, and adapt the parameters quickly. Such an early assessment creates a design that is of high quality both architecturally and in regards to energy efficiency. This is the kind of thing BIM entails when, for example, the energy-intensive need for cooling in office buildings must be reconciled with an architecturally demanding facade design. Building technology and automation can thus be reduced in a user-oriented way. At the Institute for Scientific Continuing Education at the University of Applied Sciences in Karlsruhe, a certificate center has been established to teach people already working in a specialized field or leadership position about BIM. The continuing education program combines scientific quality with practical construction applications. This course is carried out in cooperation with the professors of the College of Architecture and Construction with experts from the field of construction. 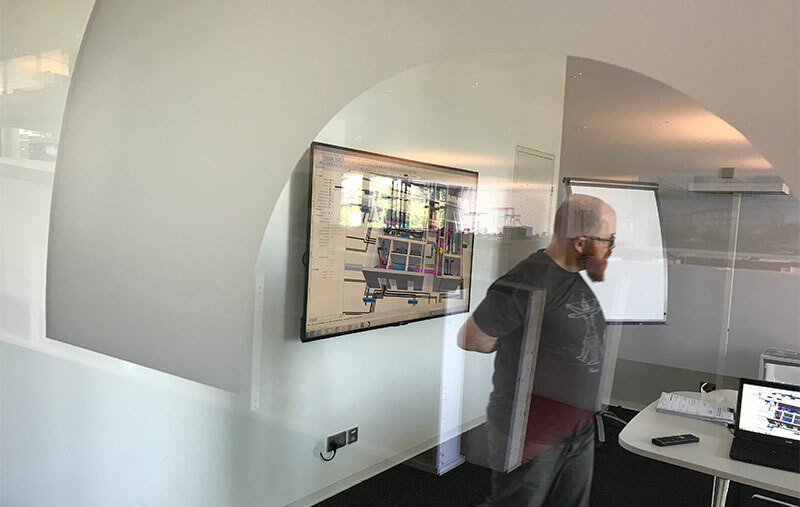 Vollack, as a specialist for methodical building concepts and innovative working environments, and ALLPLAN, which offers software solutions for BIM, are cooperation partners from the field and the founders of the new study program.